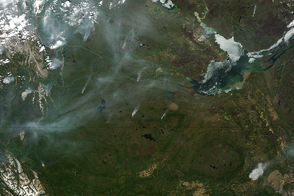 Several large wildfires raged in northern Alberta, Canada, on May 15, 2011, when the Moderate Resolution Imaging Spectroradiometer (MODIS) on NASA’s Aqua satellite acquired this image. 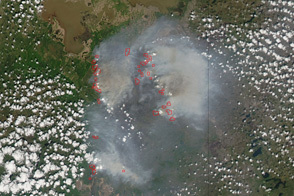 The fires are outlined in red. 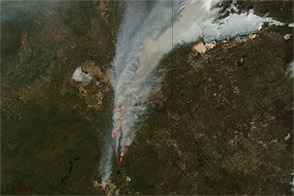 Strong winds and dry conditions created extreme fire conditions in northern Alberta on May 15, reported CBC News. By the morning of May 16, the government of Alberta reported 116 fires in the province, 34 of which were out of control. Long plumes of smoke attest to the strong winds that drove the flames. 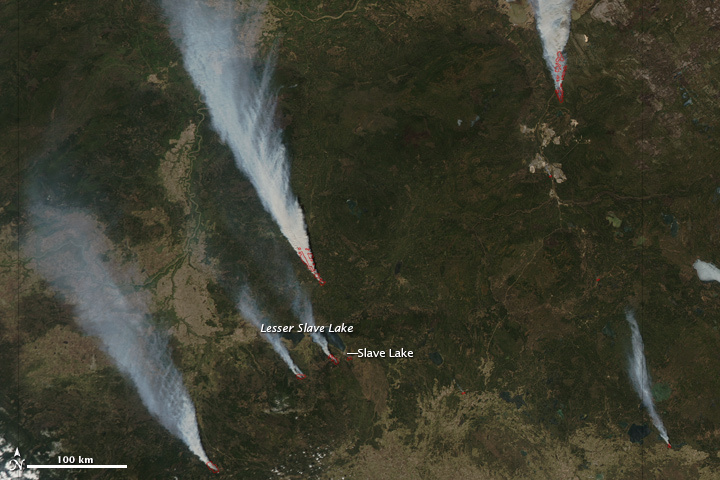 In the hours after this image was taken, the fires raced north into the town of Slave Lake, destroying 40 percent of the community and forcing all residents to evacuate. The fires also closed roads, rail transport, and oil operations in northern Alberta. 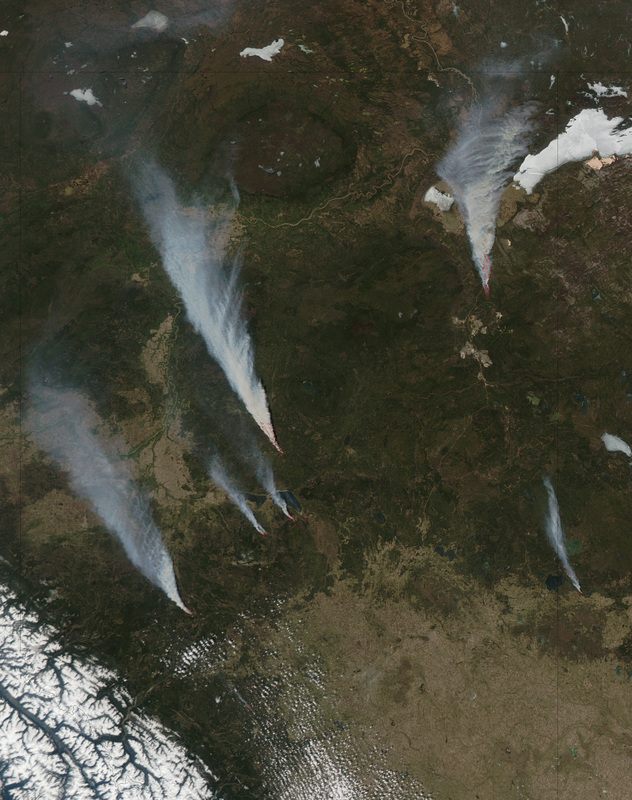 Taken on the afternoon of May 15, this image shows several large wildfires burning in northern Alberta, Canada. 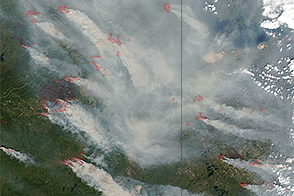 Strong winds and dry conditions fueled several large wildfires in northern Alberta, Canada in mid-May 2011. CBC News. (2011, May 16). Alberta fires shut down energy operations. Accessed May 16, 2011. CBC News. (2011, May 16). Slave Lake firefighters struggle to save town. Accessed May 16, 2011. Government of Alberta. (2011, May 16, 10:11 a.m.). Fire status map. Accessed May 16, 2011. Government of Alberta. (2011, May 16, 10:00 a.m.) Provincial wildfire situation report. Accessed May 16, 2011. Municipal District of Lesser Slave River. (2011, May 16). Accessed May 16, 2011.